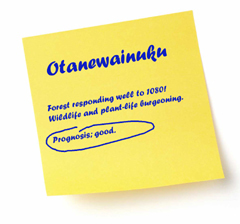 Browsed, milled, cleared & mined over the years – it’s not hard to see why one of our largest tracts of forest – the Bay of Plenty’s Kamai Mamaku forest – has been a key focus for several of our North island branches. So as the newly appointed central North Island field officer, my arm almost left its shoulder socket when asked to take a walk through parts of this 37,000 hectare forest land. This stretch of forest contains a unique mix of plant-life that encompasses warm kauri in the North and cool beech to its South. Its long, narrow shape and plant diversity is a very microcosm of Aotearoa. 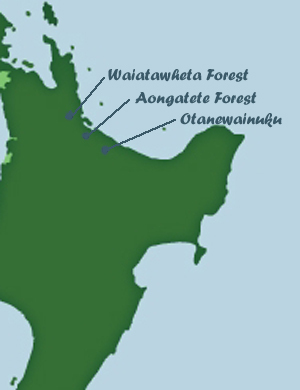 Over the week we would take in three very different forests – the northern Waitawheta forest, Aongatete in the middle and Otanewainuku to the south. 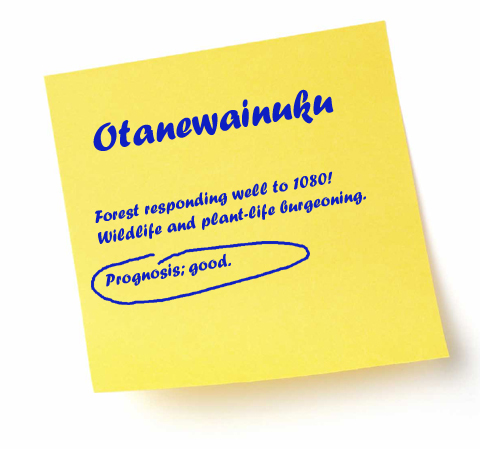 A snapshot of the forest’s health in one week! Donning some binoculars & channelling the spirit of a forest doctor, I set about on the walk. First up, was the lowland forest close to Waihi– Waitawheta forest – whose fertile soils derived from the andesite volcanoes have created a rich array of dramatic cliffs and crags. Prior to extensive logging the fertile soils once supported great forests of kauri, rimu and tawa with kahikatea on the alluvial plains. 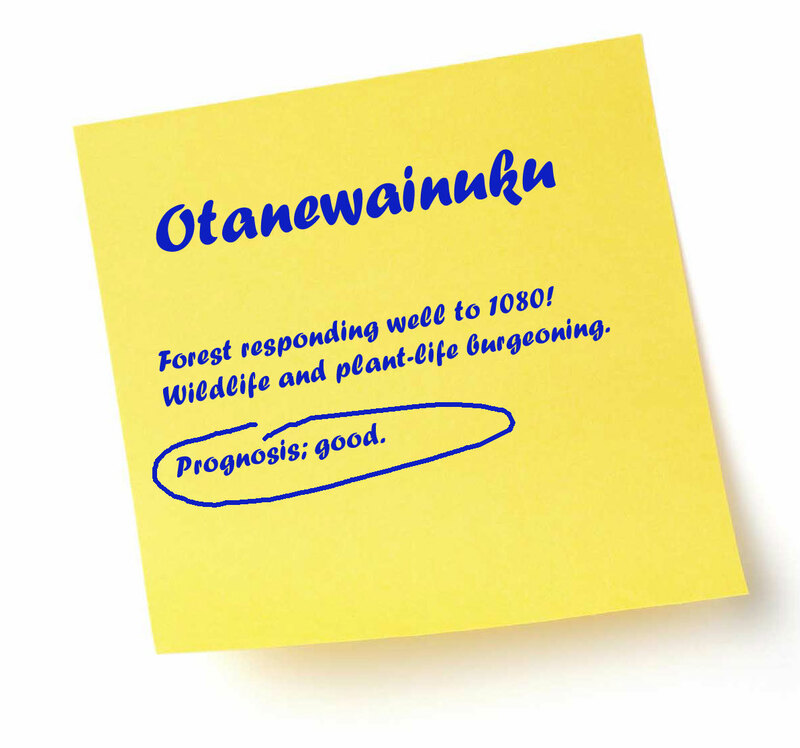 Logging and farming have replaced the lofty kahikatea with pasture alongside the river but the steeper slopes a young forest is regenerating. Big rimu trees and the magnificent Bluff stream kauris grow in sites which were too difficult to log and act as a nursery for the young forest and rimu and kauri. A few pate and hen-and-chicken ferns in the under storey can be found but the scarcity of many palatable species suggests that some deer and many possums are present. The gnawed tawa berries strewn on the forest floor attest to the number of rats. Few birds were heard or seen but it was their moulting time and the day was hot and sunny. 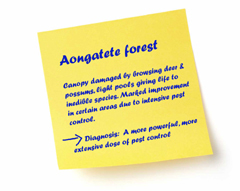 The central Kamai forest is best seen by hitting the long loop trail at Aongatete, south of Katikati. Moving further south, the volcanic rock that covers the forest floor is a less fertile variety (rhyolite). Although the forest is warm enough to support puriri and kohekohe, both rich sources of food for the birds, there is no kauri here, so the forest was never systematically logged. 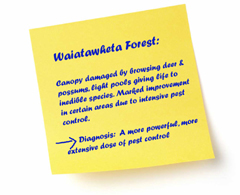 Dominated by rimu and tawa, heavy browsing by deer and possums has damaged the canopy trees, and removed seedlings and palatable species like fuchsia and kamahi. Fallen trees now let in the sunshine, favouring inedible, sun-loving species like tanekaha, miro and totara. 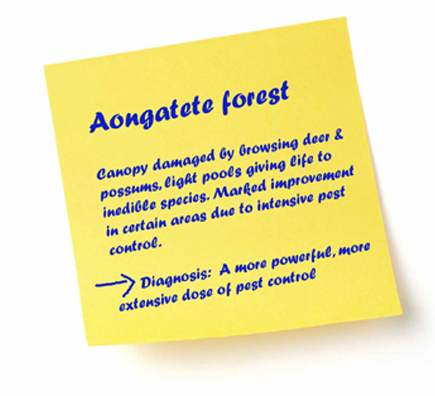 Two and a half years of pest control by the Aongatete Forest Restoration Trust is beginning to showing its value. New growth sprouted on some damaged trees, kiekie fruit, a favourite of rats and possums, was ripening and birdsong rung from the trees. The ripe tawa berries lay uneaten on the ground, proof that rat numbers were low and, when we paused to look at a rat bait station, a robin hopped up to our feet. Rats are very hard on forest birds, eating their eggs, chicks and even the parent birds sitting on the nest, so we were delighted to see a fantail with a fledgling in tow, even through the young bird was a cuckoo! Like the grey warbler, tomtit and silvereye, fantail are known to mistakenly nurse the shining cuckoo’s chicks. As you walk to higher altitudes, puriri and kohekohe give way to tawa and rimu and then to tanekaha, tawari and totara. It takes about two and a half hours to complete this very varied walk, crossing a number of small streams, and, back at the Aongatete Lodge, another short track leads to a fine swimming hole. The third walk was in the southernmost part of the Kaimai Mamaku forest, at Otanewainuku. Like Waitawheta, this forest is growing on soil derived from andesite and here it is covered with ash layers. This makes it very fertile and suitable for root growth and it supports tall, dense forest of rimu and tawa. The hour long rimu loop walk gives you a good glimpse of the giant trees that tower above the lush undergrowth where the many palatable ferns and shrubs show that deer numbers were low. The quality of the forest is a tribute to the care it has received. 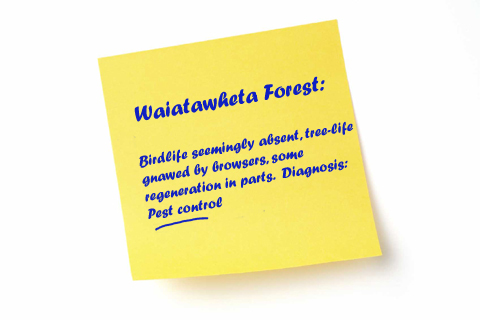 This area wasn’t logged and 1080 pest control operations in the 1990’s by the Department of Conservation has been followed up by the Otanewainuku Kiwi Trust. For six years now they have been doing pest control – and it shows. The plants are burgeoning and the wildlife is increasing. Here we saw and heard more birds than in the other forests, especially the robins. 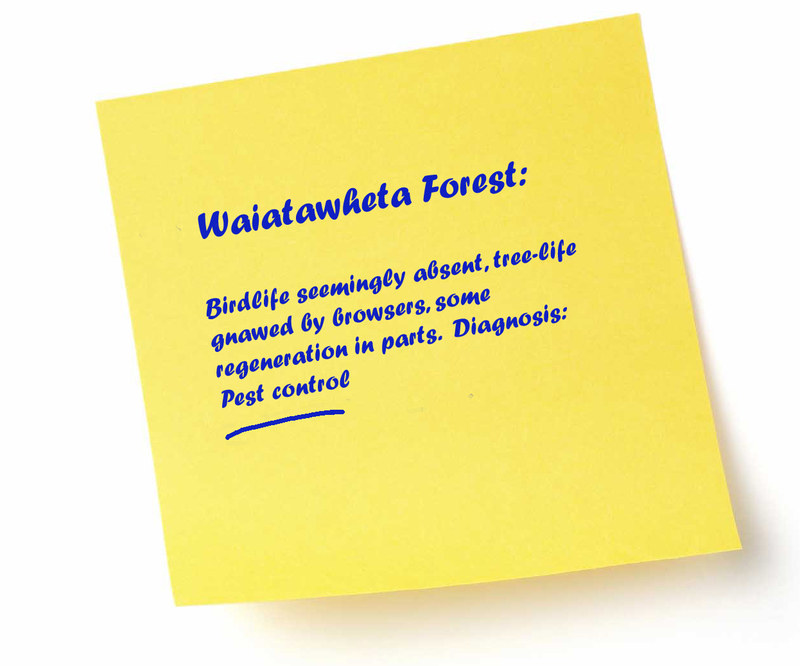 Robins are rare or lost from many mainland forests and their presence at Otanewainuku, and their reappearance at Aongatete, shows just what pest control can achieve. Our Kaimai forests are splendid in their beauty and variety. They are also our water catchment forests, our bulwark against storms and flash floods and the biggest carbon sink we have in the Bay of Plenty. They deserve our care. They need widespread pest control. 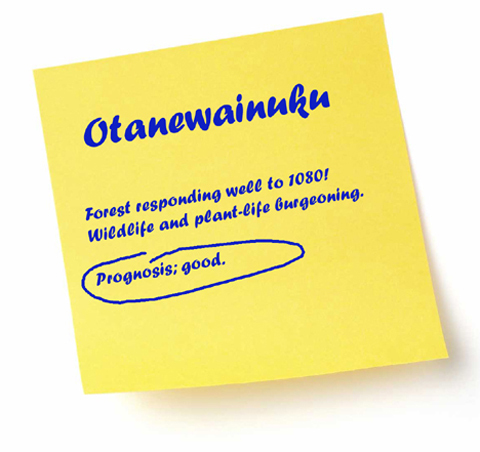 Enjoy our forests, especially their cool depths on these hot summer days and add your voice to the calls for the restoration of the Kaimai Mamaku forest. 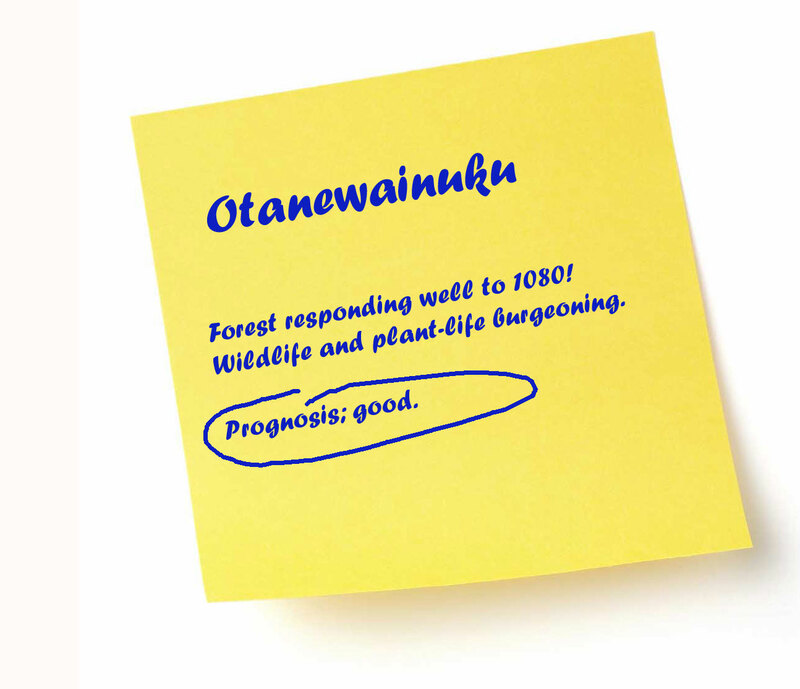 So, what’s important to you about the Kaimai Mamakus? What do you see as priorities for the restoration of the forest and surrounding catchments? Is anyone involved in restoration initiatives within the Kaimai Mamaku? The costs of NOT doing pest control – eg fixing the problems created by increased erosion, flood damage, degraded water quality, bovine Tb, etc etc etc – are WAY bigger than the cost of controlling the pests that contribute to all these problems. 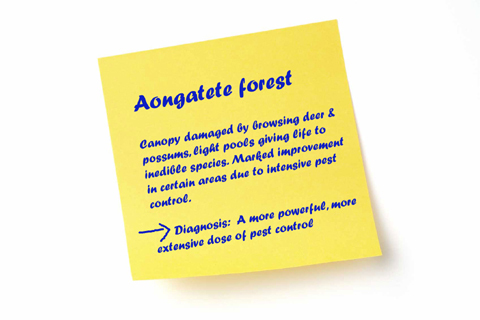 But,yes, DOC budgets mean they can’t realistically do everything – that’s why Forest & Bird campaigns for public support for increased funding of pest control so they CAN do more. i totally agree. seriously this issue keeps me awake at night.